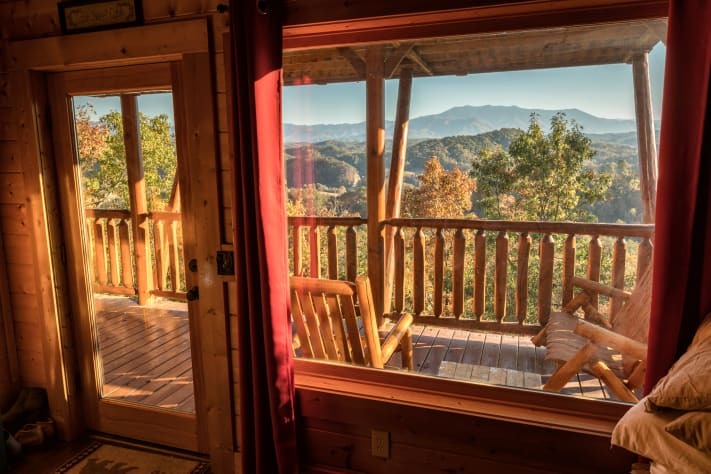 The view from the decks of Mountain Playhouse is what you come to the Smoky Mountains to see. 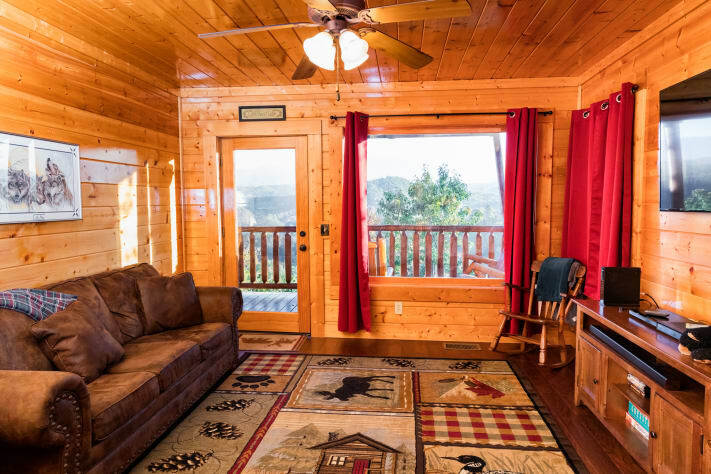 The cabin is perfectly oriented to give a 180 degree view of the mountains, including the ultimate view of Mt. LeConte. 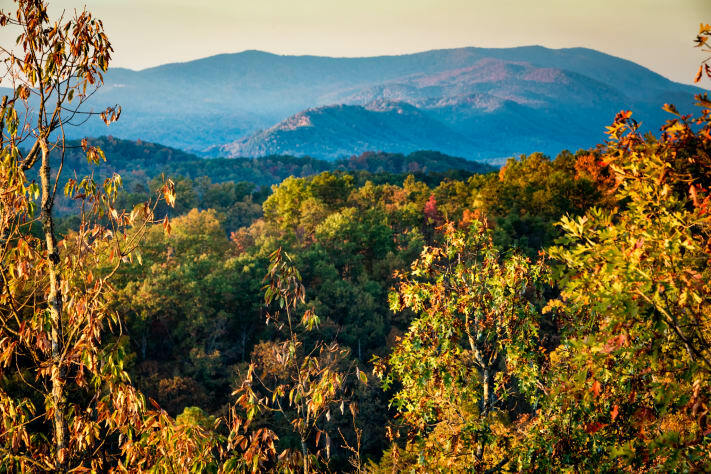 The view includes two of the three highest peaks in Tennessee along with the Ober Gatlinburg Ski Resort in the distance. 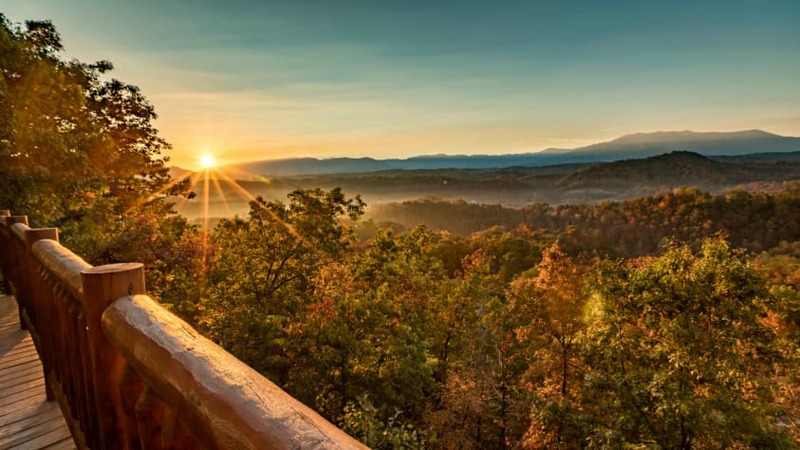 These views make for some of the most amazing sunrises and sunsets, and you can view them right from your cabin. 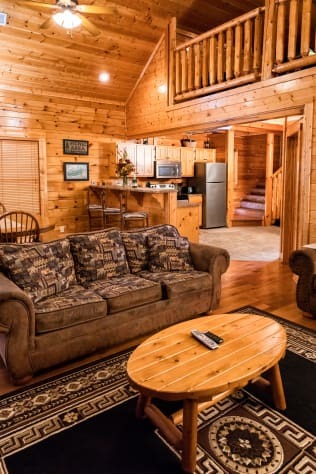 Located just 6 miles from the Parkway in Pigeon Forge, Mountain Playhouse is convenient to shopping, Dollywood, Gatlinburg, and the Great Smoky Mountain National Park. 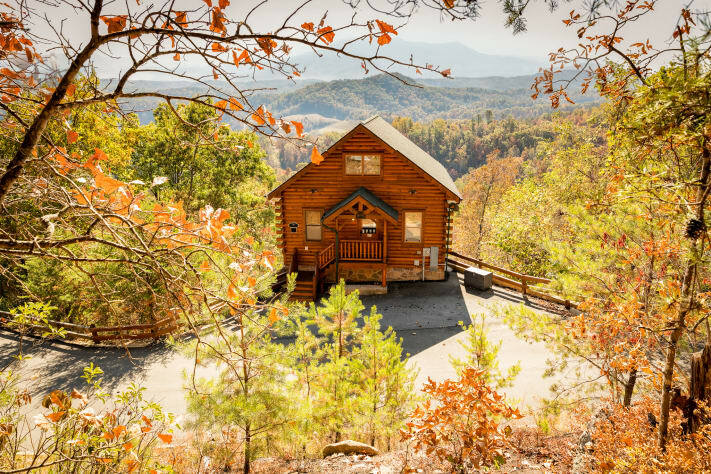 The location of the cabin allows easy access to Sevierville, Pigeon Forge, and Gatlinburg without getting on the Parkway. This is extremely useful to avoid the heavy traffic of the Parkway during peak seasons. Convenient to everything, but still away from the noise and stress of the world. 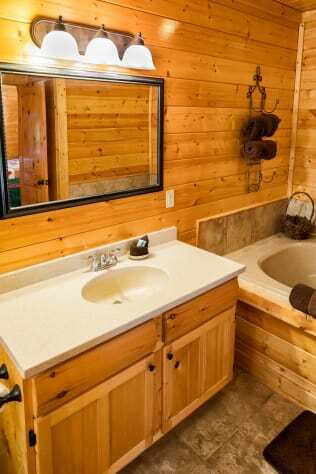 Legacy Resort is an upscale resort with quality cabins and wide paved and curbed roads. We have everything to make your stay memorable. 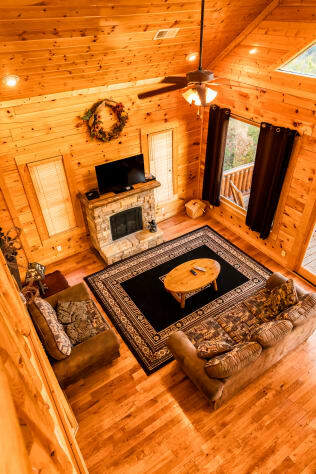 As you enter the cabin, you will find the main floor with a spacious living area with sleeper sofa and an electric log fireplace. Entertain in your large, open, fully equipped kitchen and dining area. 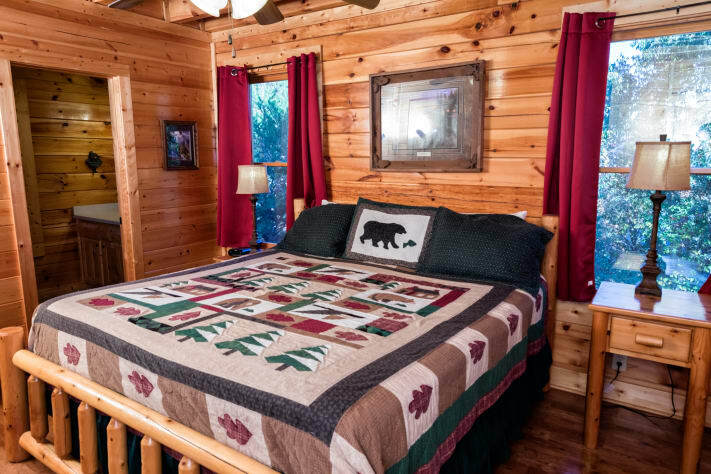 Also on the main level is one of two Master Bedrooms with a king bed and private bath. The lower level features a second Master Bedroom with a private bath with Jacuzzi tub, along with a Media Room with a 4K 55” flat screen TV to watch your favorite TV show, movie, or sporting event. This level also includes a wet bar and a full size, front loading HE washer and dryer. 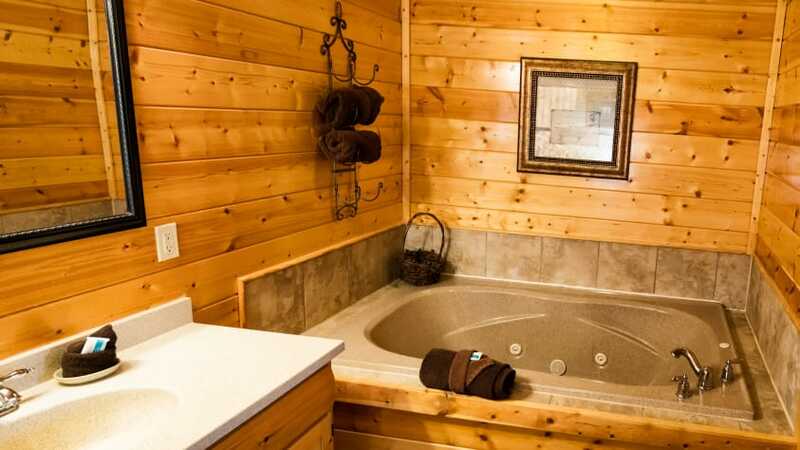 Soak away the cares of the world in the hot tub on the lower deck. 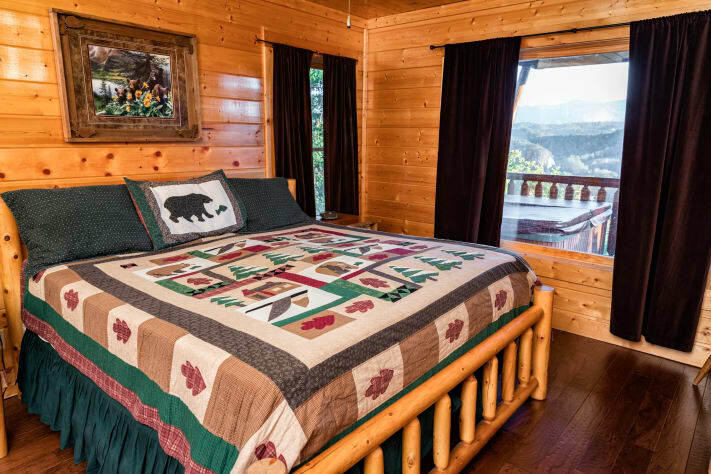 The two bedrooms feature king-size pillow top mattresses. You’ll fall asleep the moment your head hits the pillow or unwind by watching your own private TV. Inside you’ll find plenty of luxurious touches like fine 700 thread count Egyptian cotton sheets and plush, thirsty towels. 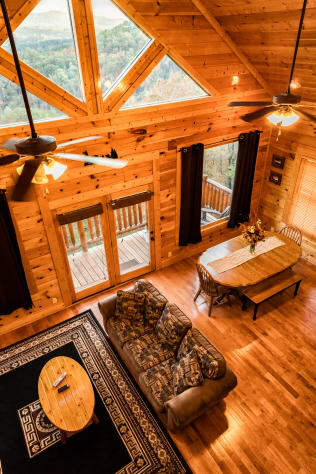 Sip your coffee while watching the sun rise over Mount LeConte from one of our two private decks or enjoy a glass of wine as you relax from a day of sightseeing. The cabin was recently upgraded to all hardwood floors. 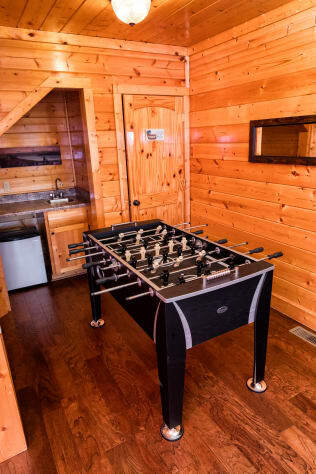 Mountain Playhouse features 5 flat screen televisions with Comcast Infinity Cable including a large 4K 55” TV in the Media Room. 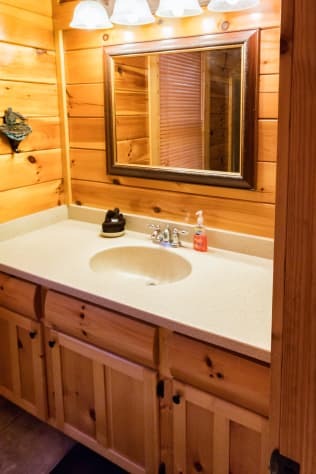 Free Wi-Fi is available throughout the cabin for your enjoyment. Enjoy the new 60 multi-game arcade machine. There are 2 DVD players and a movie library. 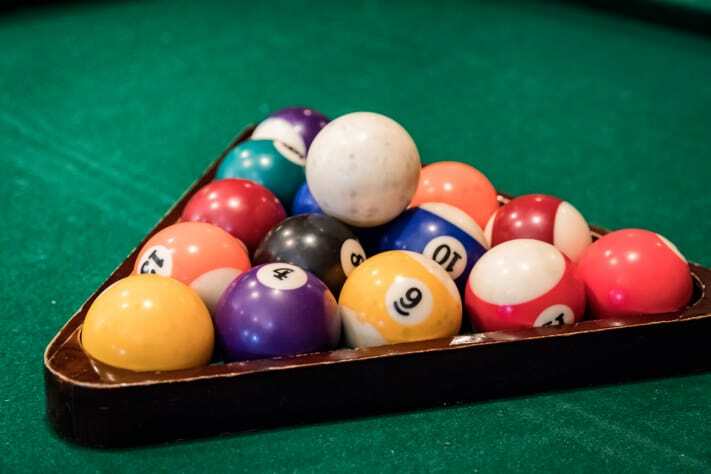 Everyone can try the foosball table or take part in a friendly game of pool. 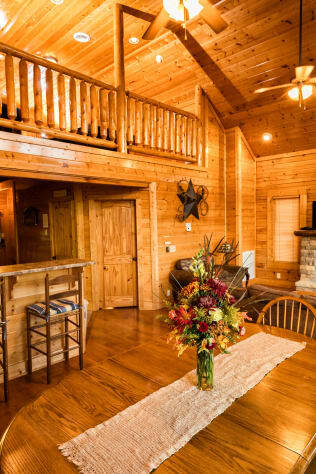 We price our cabin competitively offering great amenities for a great price. See detailed quote for specifics. The Standard rate for all nights not listed is $175.00 weeknight and $195.00 Weekend. 50% Due at reservation and 50% due 14 days prior to arrival. A Rental Agreement will be sent electonically for signatures. First, the owner, Walt is awesome! He was in contact with me before, during, and after our stay to make sure everything was just right. The property is absolutely beautiful. Looking at the pictures, it's hard to believe that the place is so perfect, but it is exactly as pictured. The cabin was cozy, but spacious. It was very clean and had plenty of things for the family to enjoy. We loved the arcade game and the foosball game. 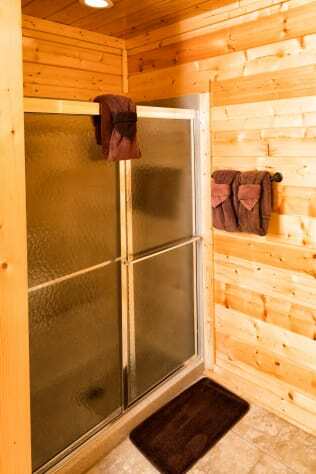 The hot tub was awesome, and my husband and I enjoyed the jacuzzi in our private bathroom. 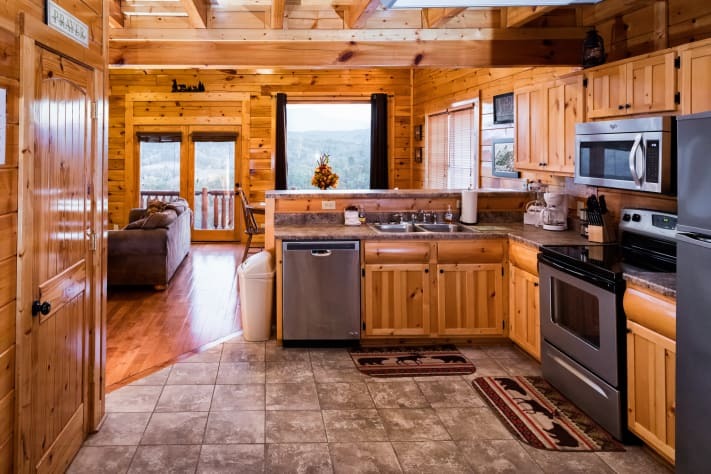 This cabin was everything we wanted and more. The views are breathtaking. The kitchen was well stocked; we cooked in everyday and even grilled one day. The beds were so soft and comfortable. 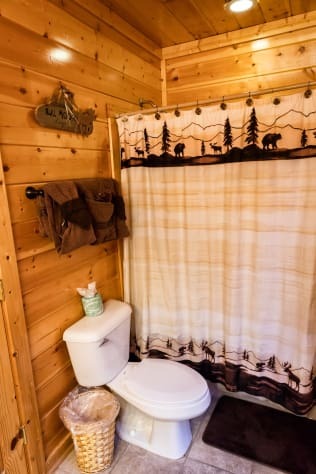 The cabin is close to town, but it seems like a world away. It is located in a resort community with paved roads. There are cabins on both sides and above, but the decks offer plenty of privacy. We absolutely loved it and will definitely be back. This was a perfect place to stay! Not far from any of the main attractions, not a hard drive to make at night and in the fog and has breathtaking views. 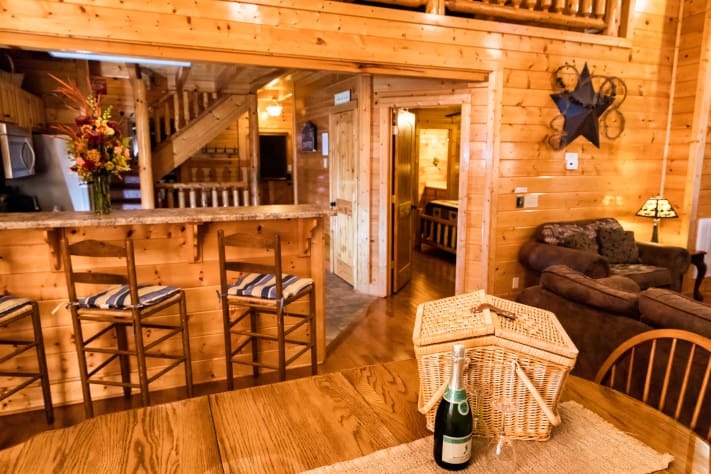 I would love to stay in this cabin again! 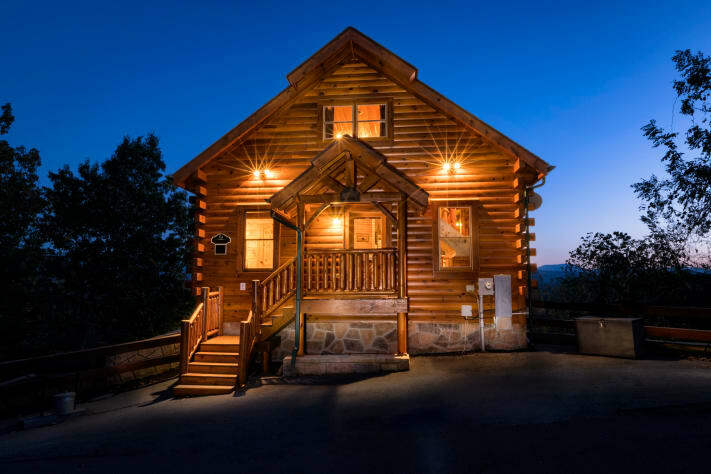 My family absolutely loved our stay at Mountain Playhouse! 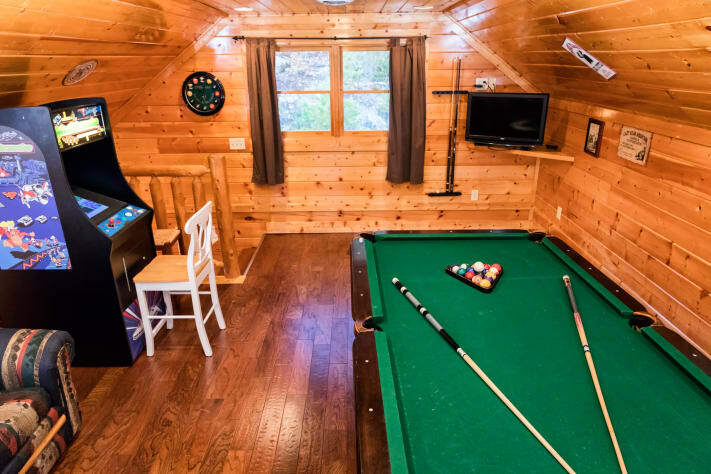 Clean, very spacious, amazing view, tons of games for the family to play, and my husband and I really enjoyed the privacy of the master suite! We all loved that the cabin was decorated for Christmas as well! 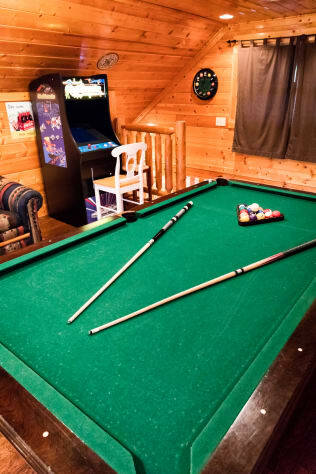 This will definitely be our go to cabin when we come to Gatlinburg! Thank you for a wonderful vacation experience!